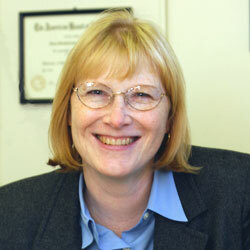 Dr. Susan Swedo has joined PANDAS Physicians Network as its new Chief Science Officer. PANDAS Physicians Network maintains the industry standard PPN Guidelines for Diagnostics and Therapeutics, fosters continuous education and communication within the multi-disciplinary medical community, and sponsors research for developing PANDAS/PANS diagnostic tests and treatment protocols. Before joining PPN, Dr. Swedo was the Chief of the Section on Behavioral Pediatrics at the NIMH. She remains designated as a Scientist Emeritus at the National Institute of Health. Dr. Swedo will begin this new role by attending the “Autoimmune Encephalitis: The Bridge Between Neurology and Psychiatry” symposium at Weill Cornell Medical School on April 6th. For more information on PANDAS Physicians Network, please visit www.pandasppn.org.